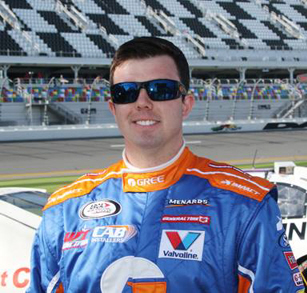 MOORESVILLE, N.C. – In the midst of nearly a seven-week sabbatical from ARCA Racing Series presented by Menards racing, driver Gus Dean (@gusdean) is staying busy. Whether it’s working through media obligations for his marketing partner GREE, helping with the family-owned company Dean Custom Air or even racing his Super Late Model, the Bluffton, S.C. native is staying busy. With some ARCA Racing Series testing on the horizon later this month and on the heels of a top-five performance in the final race in the 51st annual World Series of Asphalt Stock Car Racing at New Smyrna (Fla.) Speedway two weeks ago, Dean is heading back to his roots of local short track racing. Aboard his No. 56 GREE / Baker Dist. / CAB Installers Chevrolet, the 22-year-old will compete in Saturday afternoon’s Circle Track Warehouse 200 CARS Tour Super Late Model season-opener at Concord (N.C.) Speedway. The effort will be spearheaded by industry veteran and Dean Racing leader Petey Hinson. With plenty of experience and modest success at Concord, Dean says he is looking forward to the opportunity to put his No. 56 GREE / Baker Dist. / CAB Installers Chevrolet up front and in contention for the 200-lap race Saturday afternoon. During the off-season, the CARS Tour announced several rule changes to the tour, including the introduction to knockout qualifying. Additionally, the sanctioning body will introduce two live pit stops for position to remove items placed by officials on each side of the car. When it comes to a good finish – Dean would be satisfied with a top-five, but he’s looking for his first career win in CARS Tour competition. Keeping Dean in the saddle between Late Model racing, testing and simulators has kept the ARCA winner busy, but more importantly focused on bouncing back from a disappointing Daytona. After qualifying mid-pack, Dean raced his way inside the top-10 in the Lucas Oil Complete Engine Treatment 200 driven by General Tire only to have his charge stalled after being hit by another competitor just past the halfway point. Dean says while it’s been tough to swallow the finish at Daytona, it’s behind him and his Win-Tron Racing team are surging ahead with focus and attention on the future. “Our ARCA season is just getting started and we’ve already taken our mulligan,” mentioned Dean. “That’s OK though. The guys at the shop are working hard. We have a brand new short track car done, another car almost done and another car behind that. “It’s very busy at the shop. The guys are really focused. It’s neat to walk in there and see all the motivation. They believe in me. They believe in themselves and they believe in the dream we’re after. For more on Gus Dean, please visit his all new website at GusDean.com or “like” him on Facebook.